It's been a crazy year, and after losing my studio this summer, I decided to start a "Drawing a Day" project in order to keep my practice active. Since Labor Day (September 7th), I have been doing one drawing a day that I have been posting on Instagram and Tumblr. It's been really rewarding so far, and I plan to keep up the momentum! Please follow along, if you'd like! Gowanus Open Studios this weekend! My studio will be open this Saturday and Sunday, October 18-19 from 12-6pm. Please stop by and say hi! 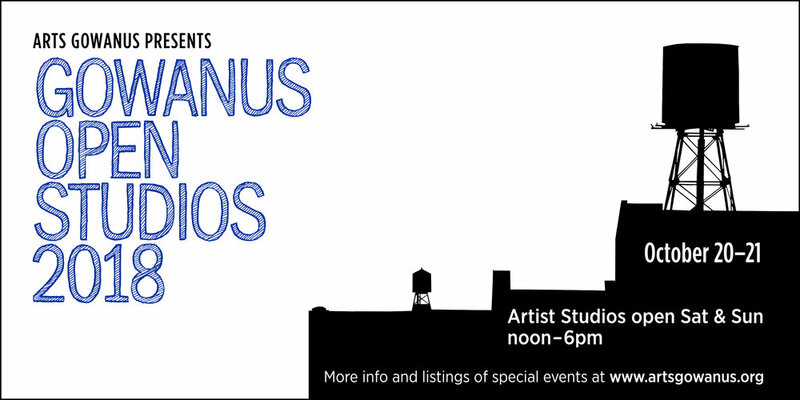 For more information about Gowanus Open Studios and all the events going on this weekend, visit artsgowanus.org. Thanks to Hyperallergic for including my studio in their guide to the weekend!